Choosing a great wine is not easy. Countless labels are out there, all claiming to be quality, great tasting, or premium. And it's only after you open the bottle you find out if you bought the best red wine in the Philippines, or a bottle of liquid sandpaper! At Winery Philippines, we only sell wines we love; wines that tell a story of their time and place; and wines that are great to drink in the Philippines climate and with the food we often eat. You won’t find any ‘two buck chuck’, bulk produced or supermarket wines in our range: we work directly with winery producers and the best wine importers in Manila to ensure every bottle we sell is a genuine boutique, quality wine that reaches you in the best condition. Enjoying wine is about finding what you love. Everyone’s palate is different, and it often changes overtime. Our wine tasting events are a great way to learn about wine and discover what you love. We're here to help you every step of the way in your wine journey – and only too happy to assist you with how to choose a wine based on your unique taste. 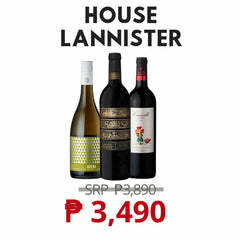 Wine in the Philippines can be expensive. Supermarket, restaurant and hotel mark ups are astronomical. Like us, you might be tired of seeing very ordinary wines being sold in Manila at two or three times their price in their original country of origin. At Winery Philippines we’re here to change that. Through our online only model, our goal is to get wine to our customers at the closest possible price to if you bought it at the winery cellar door itself! Never pay crazy prices for ordinary wines again, we make sure your taste buds are happy, while your wallet is still full. Wine comes in many different prices and levels of quality – but when it comes to wine, sometimes you get what you pay for and sometimes you don’t. When you buy a bottle of wine from us, our promise is that for whatever the price, you’ll feel you got more than your money’s worth with every sip. It’s a great time to be in the Philippines, things are moving fast and fine food and dining experiences from around the world are more accessible than ever. With more and more Filipinos wanting to learn about and enjoy wines, we’re creating the country's first online community of wine drinkers (or #kavino). In English, #kavino loosely means ‘fellow wine drinkers’. Enjoying wine is always better alongside good food and good company. By joining our community, you’ll find fun new ways to connect with other wine drinkers, attend wine tastings, pop-up events – and of course you can book your own event whether for home or office with us anytime! Wine is social, and @wineryph is right with you online – join us at our official pages across social media to stay in the loop of the best wine events, featured or trending wines, buy wine for yourself or gifts, find tips and reviews from other wine drinkers in the Philippines, and #vinspireing images and content whether you’re a wine lover, or wine lover in the making. A box of wine is heavy and traffic in Manila is so bad! Wouldn’t it be great if someone would just deliver great wine to your door? 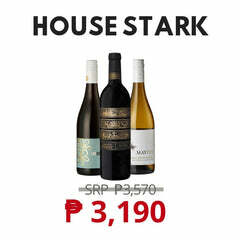 We’ll make sure that orders for wine in Manila reach you in 48 hours or less. In pristine condition and you can settle with Cash on Delivery, credit card, online payment, or bank deposit. You can buy with absolute confidence, knowing that if you’re not entirely satisfied with the quality of your wine, you can return it for a replacement, or full refund. Welcome to Winery Philippines! If you’re reading this you’re probably a passionate wine lover trying to find the best wine in the Philippines, or perhaps looking to learn and discover about wine and not sure where to start. As an emerging market for wine, and without a local grape wine industry (although the Philippines boasts many delicious fruit based wines of course! ), learning about and finding great wine can be tough. One must rely on the commitment of local wine importers and distributors to quality sourcing, fair pricing, product knowledge, good service – in short you're relying on them to make sure they get a great bottle of wine in your hands for the best possible price, every time. En vino, veritasis a phrase often associated with wine drinkers – ‘In wine, there is truth’. It normally refers to the idea that a person under the influence of alcohol tends to speak their mind or reveal the inner truth. In summary, we see a market for wine where the customer is being put last. And if you’ve ever felt frustrated at paying 3 or 4 times what you should be for a very ordinary wine, or tried to ask for some advice and the sales staff could only explain whether the wine is red wine, or white wine; or you’ve wished a supplier could help you discover new wines that you’ll love – then you’ve come to the right place. And if you haven’t previously been aware of some of the problems above, then we’re here to show you the difference! We’re a passionate community of wine lovers in the Philippines, committed to ensuring our members and customers are put first. So what makes us different? For starters, we believe in using technology and ecommerce to help as many people as possible learn about and understand great wine. While those historically wine producing countries around the world have had centuries and generations of time to learn all about enjoying wine, the Philippines is a relatively new wine drinking population, with hundreds of thousands or millions of consumers wanting to taste and know more about wine. That’s no easy task but we believe through online content and social media we much more quickly deliver wine knowledge and education to Filipinos, so they can learn to love the product in years, rather than centuries. As Asia – and the Philippines – wine market grows at an unprecedented rate, we want to share great wine and wine knowledge directly to you in your home, or via your phone or computer. We don’t believe in having ‘stores’ that you have to fight the Manila traffic to get to, instead you can buy at the click of a button through our online cellar door; keep up to date with wine in Manila via our social media pages, and our wine pop-up events at venues and at functions around Manila allow us to bring great wine and wine education directly to you. We also want to bring you the best possible wine prices, which we can do through being an online only wine store. No rent for fancy show rooms, and staff sitting around idly most of the day. We keep our costs down and our team busy, so we can bring you the best possible price on fantastic wines from around the world. When buying anything, ‘price is what you pay, and value is what you get’. 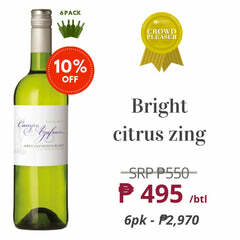 Winery Philippines our goal is that for whatever price of wine you buy, you feel like you got great value for money in with every sip. Now let’s face it, it’s not easier to find a really good bottle of wine anywhere in the world for a few dollars. And at Winery Philippines, we’re not here to sell you bulk or mass produced wine, or so called ‘two buck chuck’, cooking wine, or alcoholic sugar syrup or grape juice. So if you normally buy your wine at 7-11, respectfully, we’re probably not the supplier for you. But on the other hand, you shouldn’t have to part with a fortune to get a good bottle of wine, and like us you might be frustrated at seeing very expensive prices on those premium global wine brands that are generally known to be good quality. So where are all the high quality wines at value for money prices? 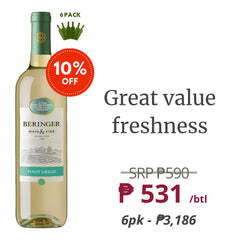 And which wine supplier can you trust in the Philippines to reliably sell great wine at great value prices? We’re here to fill that gap. With our low cost online shop, we believe that good quality wine you do not have to spend a lot, but you do have to spend a little. 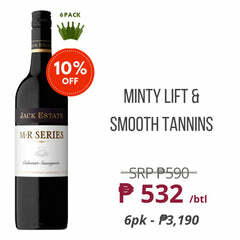 Though our discerning wine sourcing practices, and working directly with wine producers, and selected leading wine importers to the Philippines, we can put simple yet respectable in your hands for as little as 600 or 700 pesos a bottle. And we can provide you fantastic wines that will really impress for between 800 and 1500 pesos a bottle. If you want more than just our word for it, almost our entire wine list are 90 points or more rated wines from 5-star boutique wineries, by the leading wine critics in their country of origin (think Robert Parker, Huon Hooke, or James Halliday). And lastly, we’re here to make buying wine fun, informative, and easy. We only sell wines we love (and can tell you why we picked them for the Philippines!). And when you order from us your wine will be delivered in immaculate condition, with fast delivery and cash on delivery or easy online payment options. So if you’re ready to start drinking better, why not try out some of our bestselling wines or tell us about the types of wine you love to drink here, and we’ll be in touch to help you select something you love from the range. Cheers from all of us at Winery Philippines!